When S and I were planning our end of summer road trip, we took two things into consideration: 1) we wanted to go somewhere we’ve never been before, and 2) It had to be affordable (no trip to Ireland, sadly!) In that, we decided on touring the southeast, which we’ve never done before, going from Florida through Georgia to Nashville, TN; Asheville, NC; and, last, Charleston, SC. In planning the trip, we needed a place to spend the first night between Orlando and Nashville, so I picked Pine Mountain, GA. When I was in college, my two favorite summers involved working as a camp counselor in Pine Mountain, at Callaway Gardens. 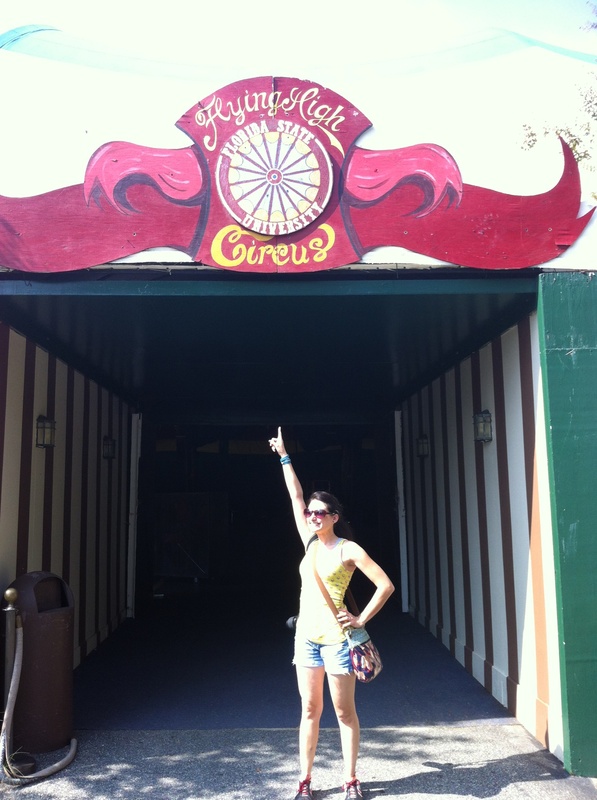 I went with the circus (of which I was part of…) so during the day we took the kids swimming and playing and golfing and water skiing, and at night, we performed. We were average people by day, magical aerialists by night. To the kids, we were their teachers, their heroes. Callaway is a large resort , and we lived just off site at a house with 16 tiny rooms (girls on one side, boys on the other). My first day I was nervous, shy, being around all of these people – some friends, some people I wished were friends due to their seniority – but by the end we were family. I’d wake up Saturday mornings and before getting ready of the day, meet my friend in the living room for video games. S and I arrived in Pine Mountain yesterday, and, city wise, everything was the same, despite the eight year time lapse. There’s still the combination gas station/Subway/KFC at the one major intersection (it’s a small, small town). There’s still the no-name pizza place next door. There’s still the legendary BBQ places we used to go to during lunch (which I, naturally, took S to). We drove by the old house and he finally put a picture to the place i’ve told him so much about. Callaway itself has grown, thrived. New attractions were added, but the same old charm remained the same. There’s still the man-made lake shining in the middle, the acres of woods you can hike through, and the circus tent, standing proud – all green and white striped. S thought it was beautiful. BUt while S saw it as shiny and new, I saw the cracks underneath. I remember the time we found a diaper in the lake, the time we took the kids to play capture the flag and two got stung within the woods, and all of the blood and sweat spilled inside the tent. I made friends that lasted a lifetime (indeed, one was my maid of honor). I created a home in a city I’d previously never heard of before. I felt part of something. Callaway holds a million memories for me, and it’s weird going back, but in a sense, wonderful. I love picking up and, in a way, telling it how i’ve changed, feeling the change in every step. In introducing it to S. Sure, it’s different, sure I’m different, but it’s all the same, really. I’m still the same girl, looking for summer full of memories. This morning we’re going back to see the gardens before continuing our journey. I’m glad I shared this place wish S, and i’m happy to have visited it again. It’s like walking back in time, into a memory I know so well I can play over and over again. And even though the memories changed over the years, and perhaps dismissed the negative moments, I’m happy holding on to these thoughts, these bits of light over the lake.